Most people who resist logical thought in baseball preach 'tradition' and 'respecting the game.' But many of baseball's traditions go back to the nineteenth century, when the pitcher's job was to provide the batter with a ball he could hit and fielders played without gloves. 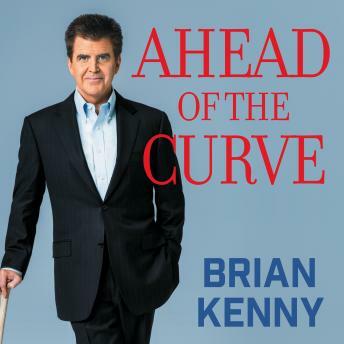 Instead of fearing change, Brian Kenny wants fans to think critically, reject outmoded groupthink, and embrace the changes that have come with the 'sabermetric era.' In his entertaining and enlightening book, Kenny discusses why the pitching win-loss record, the Triple Crown, fielding errors, and so-called battling titles should be ignored. Ahead of the Curve debunks the old way of analyzing baseball and ushers in a new era of straightforward logic. Illustrated with unique anecdotes from those who have reshaped the game, it's a must-listen for fans, players, managers, and fantasy enthusiasts.